A full-service HR & Employment Law Consulting and Alternative Dispute Resolution company with 20+ years in the industry. HR on the GO is able to provide a variety of “fee for service” options. These are some of our key services; however HR on the GO will work with you to develop what is needed for your business organization. I am committed to providing value through integrity and a strong work ethic. 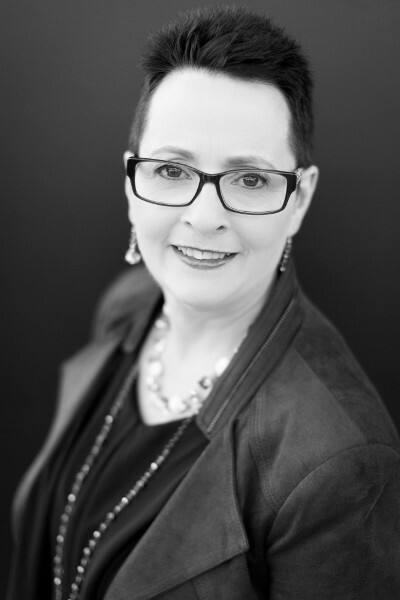 Shelley has 20+ years of experience in all areas of labour and employment law, human resources management, alternative dispute resolution and occupational health & safety management. After her schooling Shelley's career was spent in various industries working as the senior executive responsible for Human Resources and Labour Relations. Development of employee and labour relations policies, including collective agreements. Management of the labour relations process, including grievance and arbitration hearings; contract negotiations; and, conciliation. Development of performance appraisal systems, including succession planning. Certified in Alternative Dispute Resolution, Shelley is also able to provide mediation, conciliation and arbitration services. 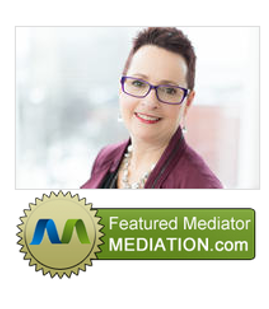 Shelley is actively involved in the community serving as Past Chair of the Boys & Girls Clubs of Greater Halifax; Board of Directors of the ADR Atlantic Institute; and a long-time supporter of the Canadian Breast Cancer Foundation. HR on the GO is able to provide a variety of "fee for service" options at a standard hourly rate of $180; however work can also be quoted on a project basis. HR on the GO is pleased to provide you with a complimentary consultation to discuss your business needs. Visit our services to view our specialities. One of your most important and valuable assets is your employees. Boys and Girls Clubs of Canada is a leading provider of programs to children and youth that support the healthy physical, educational and social development of more than 200,000 young people and their families each year. Through an association of clubs in 700 community locations across Canada, dedicated, trained staff and volunteers offer after-school programs in physical recreation, technology, the arts, personal growth and more. Each year, thousands of Canadians are touched by breast cancer. It not only impacts the individuals living with the disease, but their families, friends and loved ones as well. At the Canadian Breast Cancer Foundation, we are working to create a future without breast cancer. With the support of thousands of volunteers, the generosity of donors and over 70 corporate partners, we are funding some of the most-relevant breast cancer research programs in the country. Service Canada was created in 2005 to improve the delivery of government programs and services to Canadians, by making access to them faster, easier, and more convenient. Service Canada offers single-window access to a wide range of Government of Canada programs and services for citizens through more than 600 points of service located across the country, call centres, and the Internet. From over 100 offices across the country, BDC promotes entrepreneurship by providing highly tailored financing, venture capital and consulting services to entrepreneurs. Recognized as Canada’s preeminent ADR professional organization, ADR sets the benchmarks for best ADR practices in Canada, promotes conflict resolution through arbitration, mediation and other forms. Safety Services Nova Scotia, formerly Nova Scotia Safety Council provides resources from motorcycle training to WHMIS and OHS training. When you need a little help settling a dispute, mediation can be a sure fire way to avoid court proceedings. Affordable website design based in St Margarets Bay, Nova Scotia. Custom designs, hosting, web solutions. Reduced rate for charity groups. Barnes Consulting provides best-in-class strategic marketing and planning services across Canada. Small business and Start ups have leveraged the team to develop plans that drive long term sustainability, whether this include brand and communications development at the onset, or media and marketing plans for a specific audience or purpose. From the day I started my business 21 years ago until the present I have consulted with Shelley Alward with a multitude of HR issues. Being a small business we could not afford to have an HR person full time on staff but having a go-to person when needed was perfect! We were saved thousands of dollars over the years by the advice given by Shelley but more importantly the peace of mind that comes from knowing you are doing things correctly is invaluable. Besides day to day HR issues, Shelley has also worked with us on developing a Policy & Procedure manual and Occupational Health & Safety system. During particularly stressful times Shelley has been a lifeline! Thank you so very much for providing the always professional, level-headed, fair, timely and expert service. Shelley has extensive experience in navigating through both people and legal issues that arise when business and personnel objectives collide. Shelley offers perspective and insight that ensures a smooth transition and confidence in a path well taken. HR on the GO has been providing services to my company for approximately 3 years and it has been an extremely positive experience. Their caliber of knowledge and expertise is rarely available to a smaller business and has become an essential part of my organization. Along with HR staffing and policy services, HR on the GO offers a full slate of support including business coaching, strategic planning and general guidance. Outsourcing this part of my business to HR on the GO has brought a previously unimagined level of competence and professionalism to our company and I would highly recommend and encourage others to seek out their services.